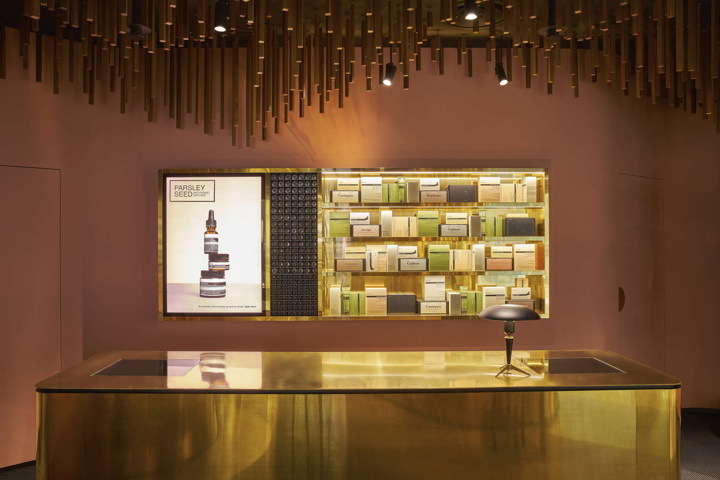 Aesop recently announced the opening of a new Snøhetta designed signature store in Singapore. 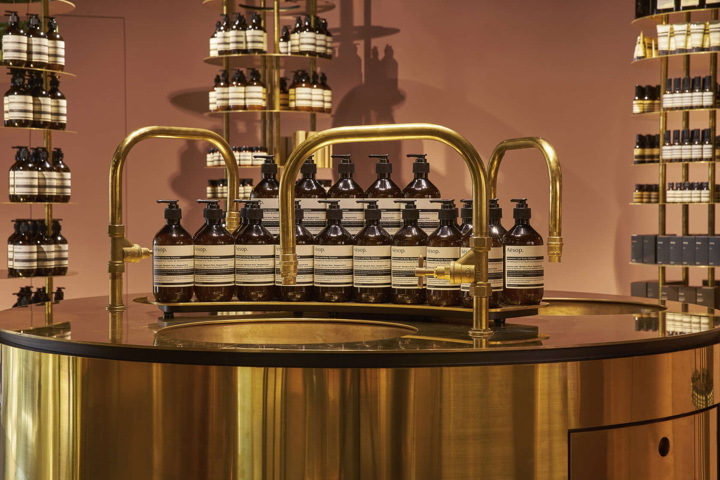 Situated just off the bustling thoroughfare of Orchard Road, Aesop ION opens on May 12. 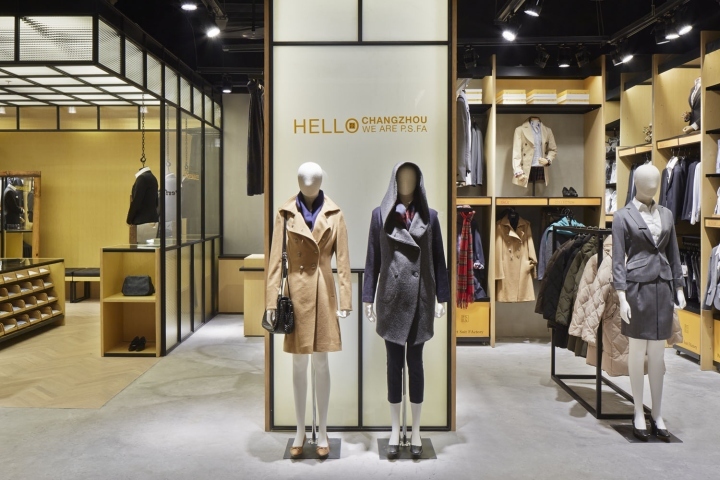 The interiors commemorate Orchard Road's original incarnation as a nutmeg plantation. 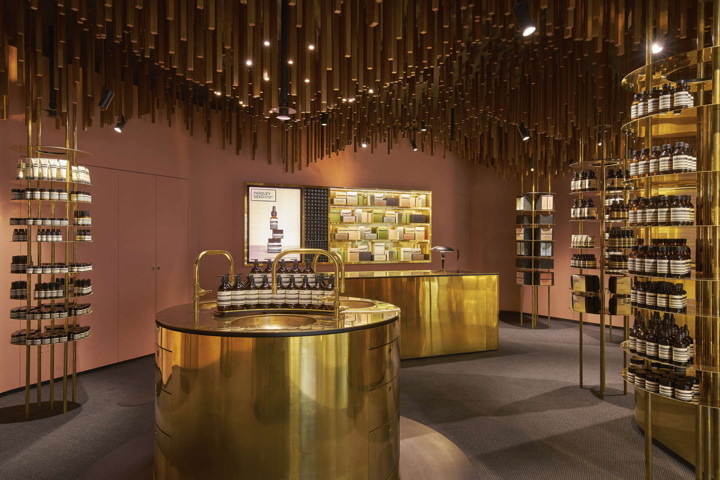 Inspired by its obscured past and underground location, Snøhetta created an upside-down forest using a sensitive assemblage of materials, colors and forms. 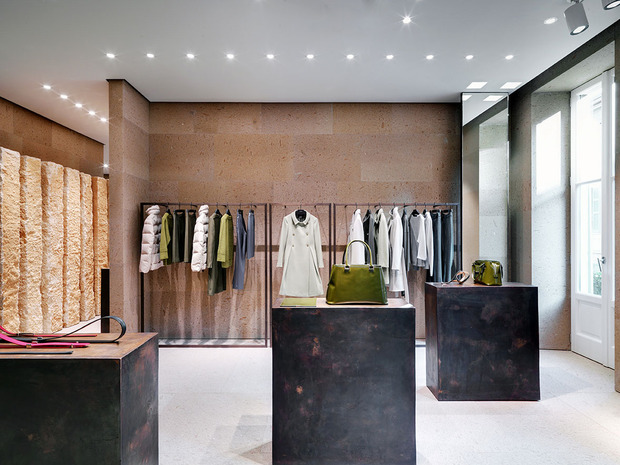 A dark ceiling references the orchard floor, complemented by sisal carpet in the same rich tone. 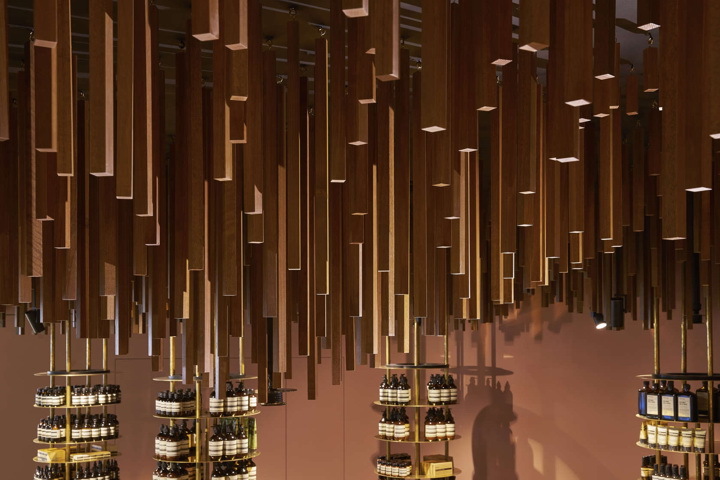 Thin timber battens hang from the ceiling forming walls that curve throughout the space like three trunks in a grove. 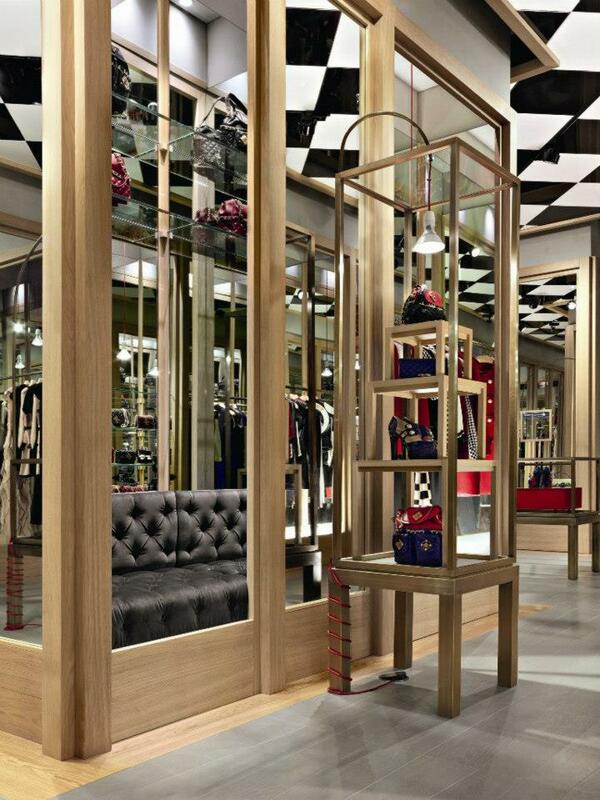 Selected central battens are suspended with horizontal 'branches' fixed to the stems acting as product displays. 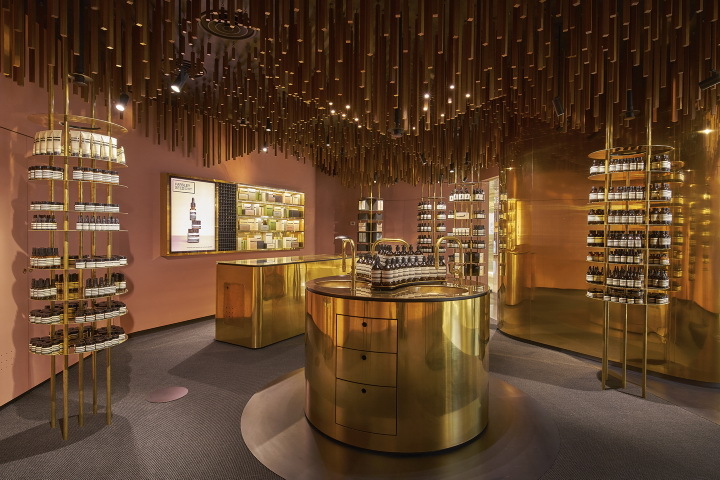 Exposed walls are pink, reminiscent of the color of mace, the other spice harvested from the nutmeg fruit. 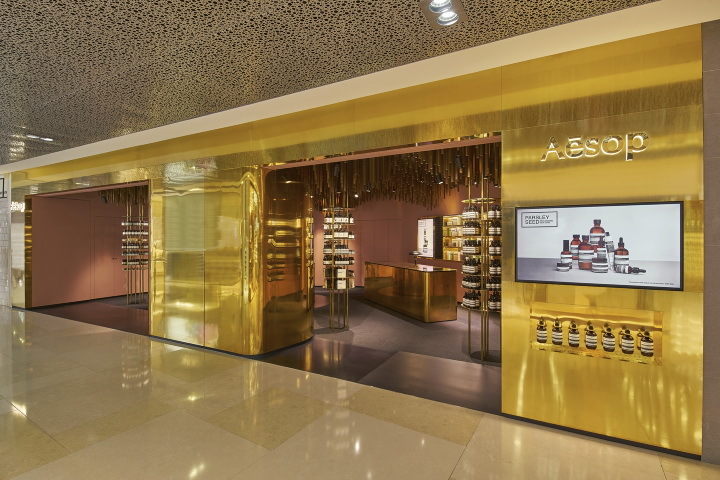 A connection with the nearby Aesop Raffles City is established through the use of brass in functional elements such as the sales counter and sink - the metal's luster enhanced by overhead lighting. 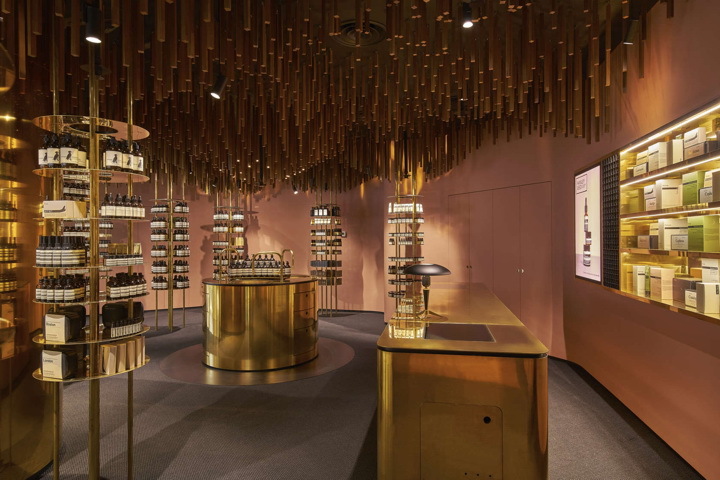 Aesop ION is the fourth Snøhetta designed Aesop signature store to open. 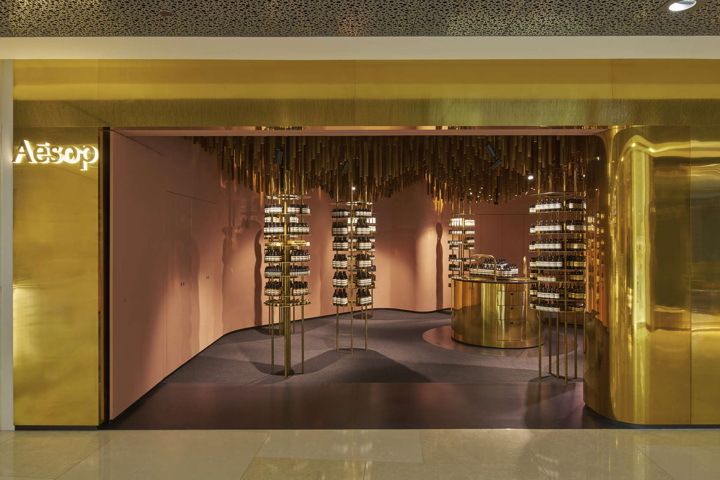 Aesop Raffles City, which is also designed in collaboration with Snøhetta, was opened in Singapore earlier this year. 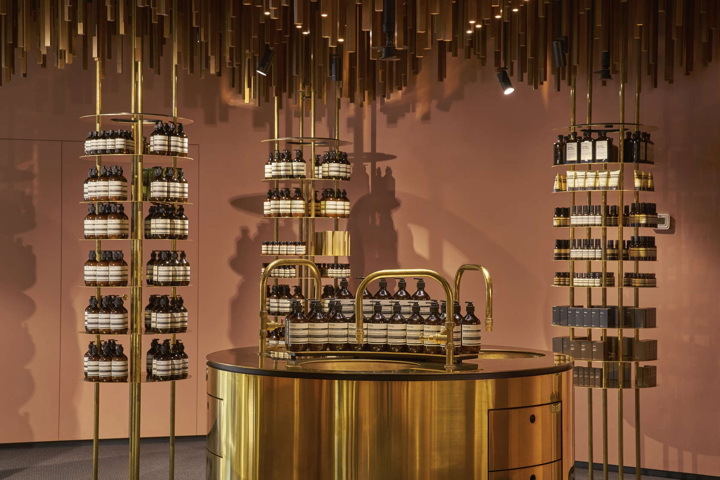 Snøhetta has further been involved with the design of Aesop's first signature store in Oslo, Norway, as well as the store in Fasanenstraße, Berlin.